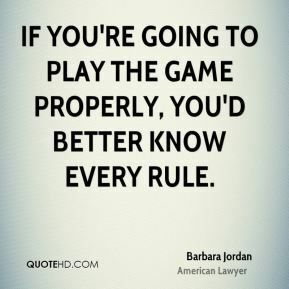 If you're going to play the game properly, you'd better know every rule. 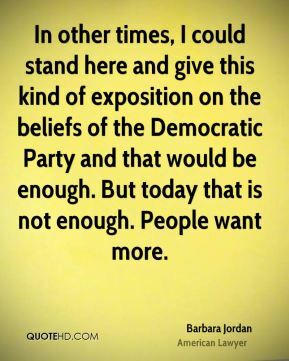 In other times, I could stand here and give this kind of exposition on the beliefs of the Democratic Party and that would be enough. But today that is not enough. People want more. 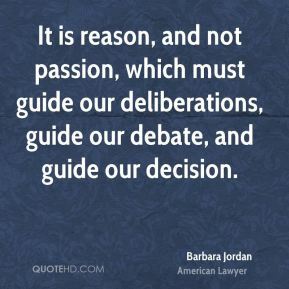 It is reason, and not passion, which must guide our deliberations, guide our debate, and guide our decision. Let each person do his or her part. 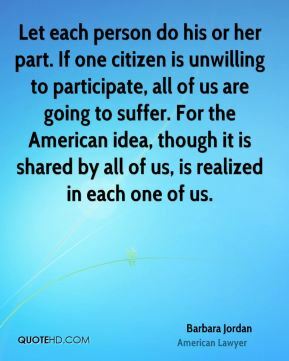 If one citizen is unwilling to participate, all of us are going to suffer. For the American idea, though it is shared by all of us, is realized in each one of us. Let there be no illusions about the difficulty of forming this kind of a national community. It's tough, difficult, not easy. 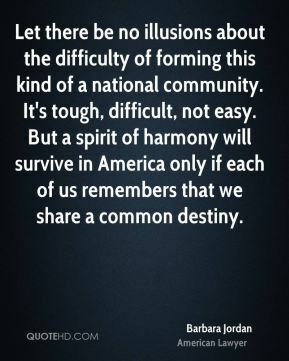 But a spirit of harmony will survive in America only if each of us remembers that we share a common destiny. 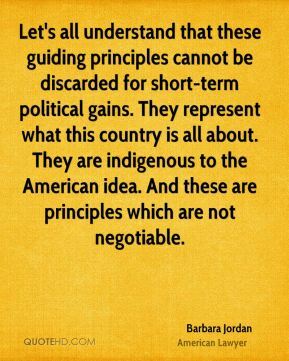 Let's all understand that these guiding principles cannot be discarded for short-term political gains. They represent what this country is all about. They are indigenous to the American idea. And these are principles which are not negotiable. 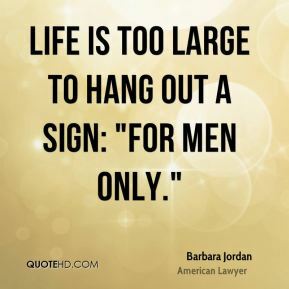 Life is too large to hang out a sign: "For Men Only." 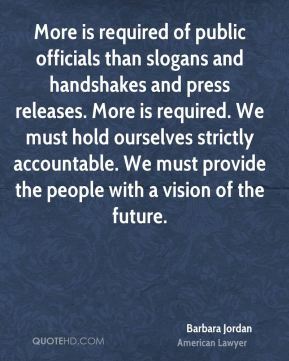 More is required of public officials than slogans and handshakes and press releases. More is required. We must hold ourselves strictly accountable. We must provide the people with a vision of the future. 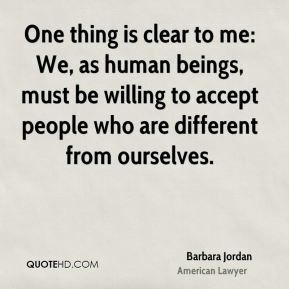 One thing is clear to me: We, as human beings, must be willing to accept people who are different from ourselves. 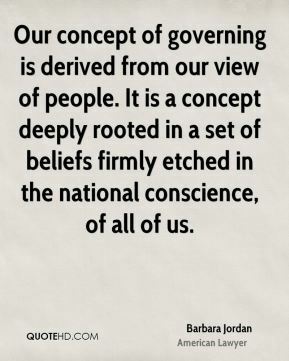 Our concept of governing is derived from our view of people. 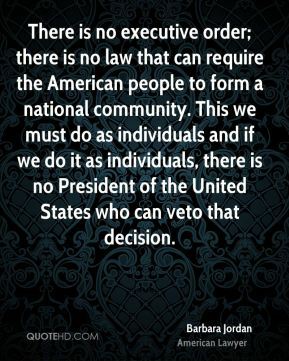 It is a concept deeply rooted in a set of beliefs firmly etched in the national conscience, of all of us. 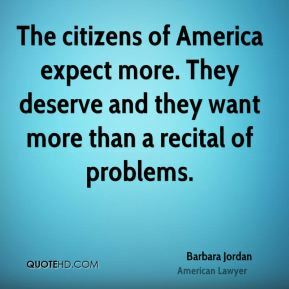 The citizens of America expect more. They deserve and they want more than a recital of problems. 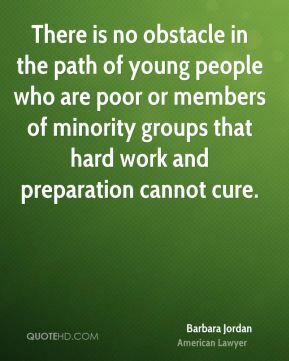 There is no obstacle in the path of young people who are poor or members of minority groups that hard work and preparation cannot cure.